The Christian Meditator Rhonda Jones shares her knowledge and experience about Christian meditation, spiritual growth, and inner healing. In this podcast, you will discover what your main goal as a Christian should be. This is a very insightful and engaging topic. How Can I Keep My Thoughts Healthy? In this podcast, you will learn several unique ways to get rid of negative thinking. By learning how to keep your thoughts healthy, you will lead a more positive and fulfilling life. In this podcast, you will learn several different unique ways that will help you to maintain a daily Christian meditation practice. Are You a Dirty Rotten Sinner Saved by Grace? Get your Power Back! In this video, Rhonda elaborates on the scripture Psalms 51:5 that says we are born into sin and shaped by iniquity, but maybe there is a more empowering way to look at this scripture. In this podcast, Rhonda provides a Christian mediation morning prayer and scripture affirmations called "When I Open My Eyes". When used daily, this lets you focus on your day, the Lord, and commit your mind, body, and work unto Jesus. In this podcast, Rhonda provides a Christian meditation bedtime prayer called "When I Close My Eyes". It's set to uplifting relaxation music that will help you to go to sleep at night knowing that you are under God's watchful care. What is Christian Meditation and Why Christians Should Meditate? In this podcast, Rhonda discusses "what is Christian meditation" and it's benefits with Jeff Robertson of the Tender Warrior Show. In this podcast, Rhonda explains how to do a centering prayer meditation. This meditation will allow you to enter into the presence of God in silent contemplation and relaxation. In this podcast, Rhonda provides a guided Christian meditation to help you let go and let God takeover by turning all your cares over to him. In this podcast, Rhonda explains how Christian meditation helped her heal her life. In this podcast, Rhonda discusses spiritual warfare. In this podcast, Rhonda provides a spiritual lesson on how to create a quiet time with God. Many Christians are influenced by evil forces that torment their mind and cripple their walk with Christ. In this podcast, Rhonda shows how you can get through this with prayer. In this podcast, Rhonda discusses how you can overcome negative emotions by casting every care that you have on God. In this podcast, Rhonda provides a Christian meditation that can help quiet down your mental chatter. In this podcast, Rhonda discusses how to cast out evil spirits. In this podcast, Rhonda creates a Christian meditation that will help you be prepared to meet God. Do you feel as though you have been under spiritual attack? In this podcast, Rhonda creates a morning spiritual warfare meditation with affirmations that will help. Creating a Quiet Time with God that You'll Love! In this podcast, Rhonda explains how you can create a quiet time with God. What Does it Mean to Detox Your Life & How? In this podcast, Rhonda explains what it means to detox your life and how you can start doing this today. Can Christian Meditation Help You Find Enlightenment? In this podcast, discover if Christian meditation can help you find enlightenment. In this podcast, Rhonda shares four tips to help you lead an anxiety free life. 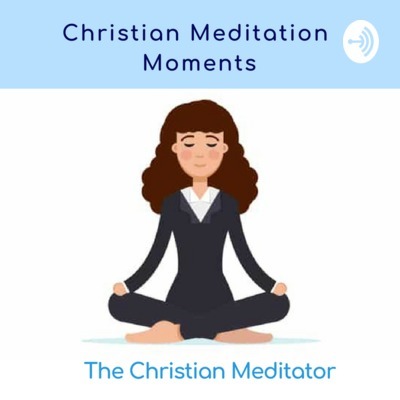 In this podcast, Rhonda discusses how to do Christian meditation as well as the differences between prayer and meditation.